The code appears on the webpage but does not bring in the form. You can try to embed your form via our iframe embed method. Give it a try. Let us know if you need any further assistance. just appeared on the page. I checked the embedded form in the source code of your website page and I was able to identify where the problem is. 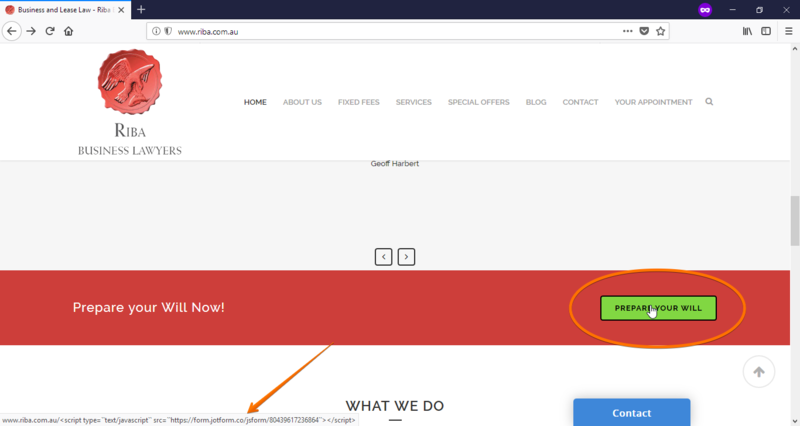 Please take note that the embed code must be within an html snippet for it to work. 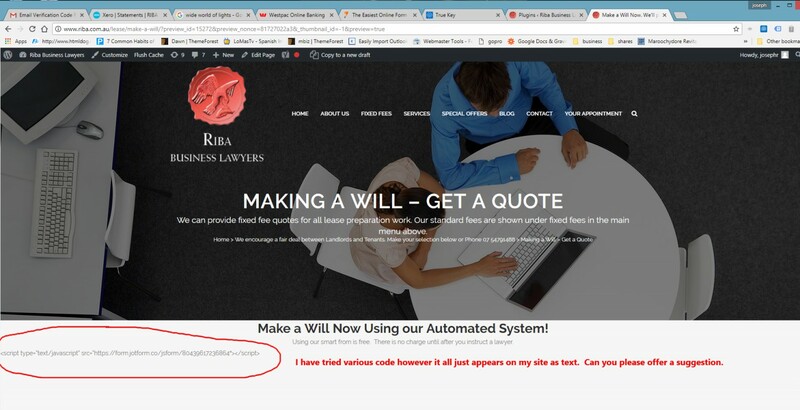 I do not know which website builder you are using now, but usually there should be tool to add html snippet code and then you will embed the form within the html element. On the other hand, it appears that what you wanted to have is actually a Pop-up form using a button(base on the source code I see).